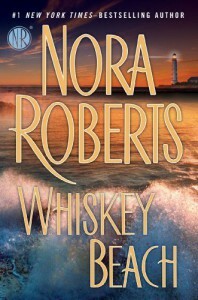 WHISKEY BEACH was another powerful romantic suspense title from Nora Roberts. I fell in love with both Eli Landon and Abra Walsh. Eli has come back home to Whiskey Beach to try to rebuild his life after being accused of killing his estranged wife. He has lost his career as a criminal defense lawyer is in a state of depression. He is also being harassed by the Boston police detective who is sure he is guilty despite a lack of evidence. He is back at the family home -- Bluff House -- because his grandmother had a serious fall and almost lost her life. She wants a Landon to live in the house as they have since the Revolutionary War. Abra Walsh is a relative new-comer to Whiskey Beach but she had managed to build a satisfying life for herself. She does some housekeeping at Bluff House and for others too. She teaches yoga, gives massages, and serves drinks at the local bar on Friday nights. 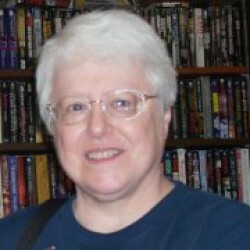 She is also rebuilding her life after personal trauma and has regained her cheerful, positive attitude. She sees that Eli needs some help and starts working her way into his life.When Abra is attacked in Bluff House and together she and Eli discover that someone is digging in the basement, the questions just keep building. Is the attack related to Eli's wife's death or his grandmother's assault? Are the long-held rumors of buried treasure at Bluff House true?The story was filled with tension and the growth of a realistic relationship between Eli and Abra. I liked that both characters were still healing and were cautious about getting involved again. I liked the way the tension in the story kept building and building. This one is highly recommended.